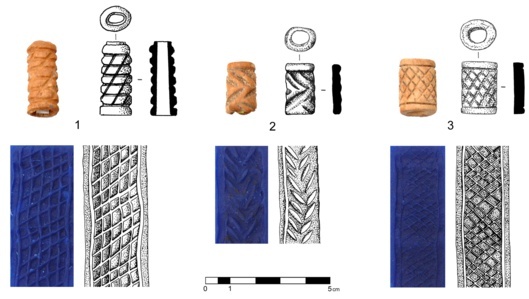 The earliest settlement with architectural remains revealed by the excavations dates from the second part of the Early Bronze Age, the conventional Early Bronze Age IB, which started around 3200 BCE at the site according to radiocarbon dates. The oldest settlement have been a walled town. 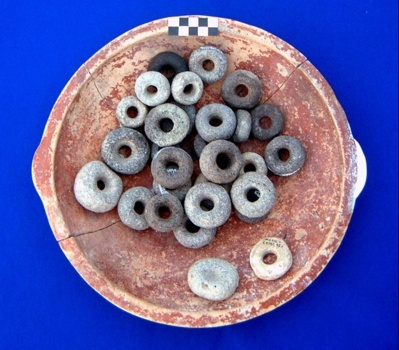 Finds of fired clay include cylindrical jars of imported Egyptian (!) pottery from the Predynastic Naqada IIIB culture which is the first of its kind ever found in the Jordan Valley and in Transjordan. The beginning of the next period, the Early Bronze Age II, is roughly contemporaneous with the 1st Dynasty of Egypt and can be dated to approximately 3100 BC. The quite high dates of the different Early Bronze Age periods are supported by sixteen Carbon-14 dates which were processed in Oxford and Vienna (AMS). The Early Bronze Age II period is in general considered as a period in which the many fortified cities were founded. The settlement at Tell Abu al-Kharaz from this period was protected by a massive city wall with 3-5 m wide and 3-4 m high (as preserved) stone foundations, which incorporates the remains of the older city wall (see picture below). Considering that the stone foundations were covered by a superstructure of mudbrick tiles remains of which were found in waste quantities, the former city wall very likely rose another 3 or 4 m, which gives a total height of impressive 6-8 m. Numerous test trenches revealed parts of the Early Bronze Age II town, which for its time covered 3-4 hectares. Inside the town were houses made of mudbrick walls on stone foundations. The large amount of pottery, jewellery, beads, shells, seals, mace heads, tools and weapons made of copper, together with clay and wooden containers still filled with several cubic metres of stored grain, point to a wealthy society which seems to have been centrally administrated. Seals of bone and ivory. 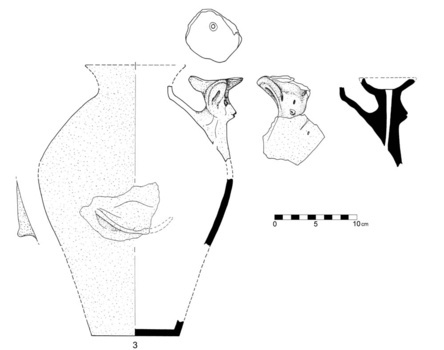 There is an unusual EB jar with a pillar handle: the pillar is modelled to depict a head, which shows human and animal traits resembling a bat with large ears (see above to the right). A quite well preserved basket is plaited of organic fibres; it had a rope-like handle and contained grain and a wooden spoon (see below). Spindle whorls and loom weights of basalt (from the Golan Heights) on an EB IB platter, and shuttles of bone for the production of textiles. 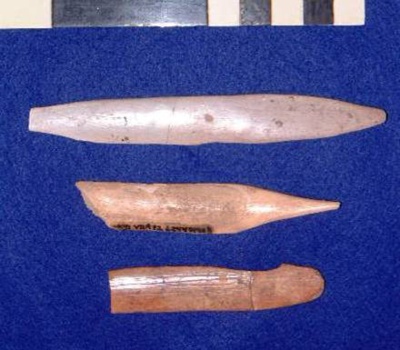 The Early Bronze Age town was destroyed several times. It was rebuilt and after the last destruction squatters occupied it for a short time before it was abandoned. This long break from c.2900-1700/1600 BCE is surprising because the nearby site of Pella has substantial town remains from these periods, especially from the Middle Bronze period lasting approximately from 1900-1550 BCE.